Utilize your glass surfaces to add another dimension to your marketing strategy or office ambiance. SpeedPro Imaging Innovations can create custom window graphics that properly fit your company and reflect your preferred messages accurately and professionally. With our state-of-the-art printing technology and industry-leading materials, we’re equipped to handle practically any request! We aim to be a trusted extension of your marketing team, which means you can expect unparalleled quality. We serve businesses in Reading and surrounding areas, so get in touch with us to see what we can do for you. We’ll collaborate with you closely to learn the needs of your project, and from there, we can plot out each detail. From conceptualization to surveying to installation, we always strive to be available and understanding. 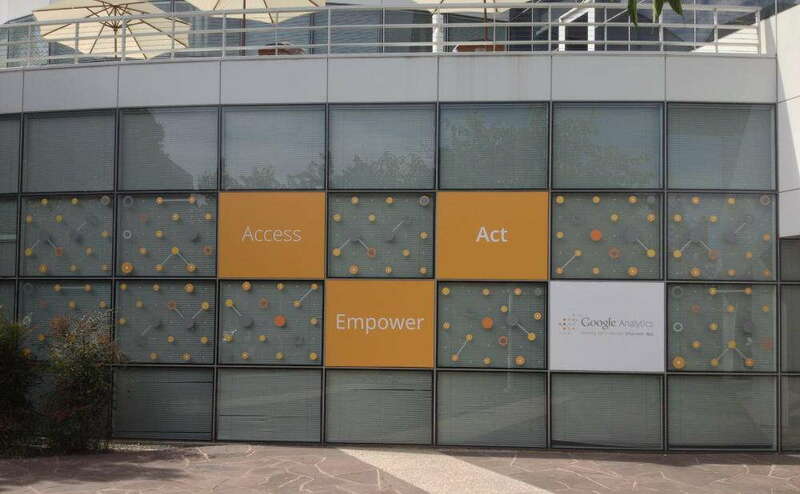 When we have a plan of action of established, we can walk you through our wide assortment of graphics options. We’ll talk about the characteristics of each one and present our recommendations. 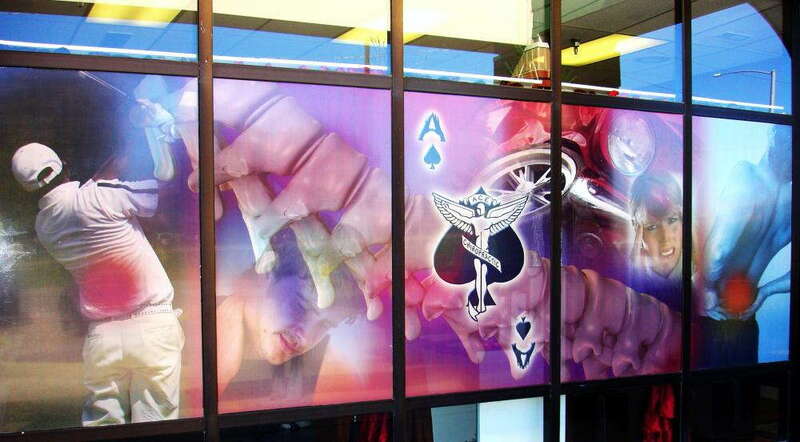 Once we’ve found a solution, we’ll be on the way to custom window graphics that draw the crowd you want. Frosted or image window graphics: Choose from two vinyl types: calendar and cast. Your new graphics can be finished in matte, gloss, etched, frosted, dusted or clear. They can be straight or contour cut, depending on the scenario. These products offer a creative, cost-friendly way to promote your brand or tastefully cover interior glass doors and walls. 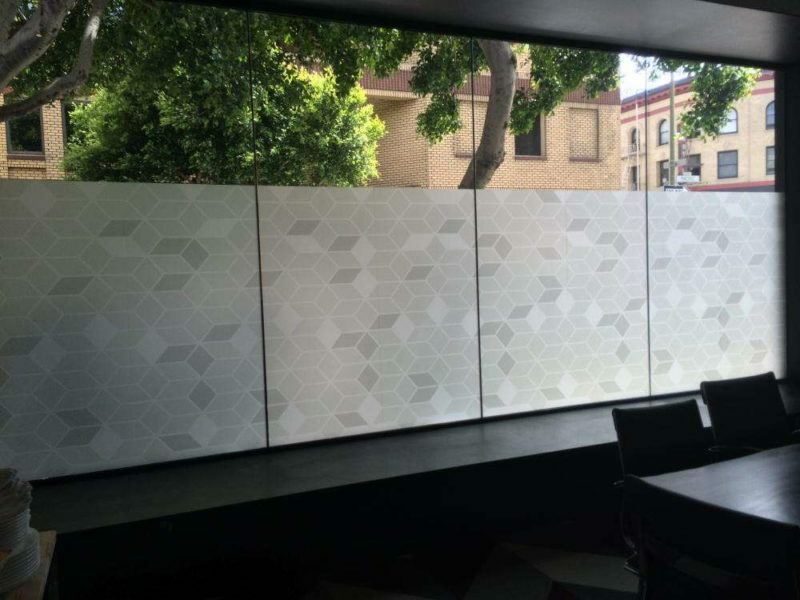 Window perforated film: If you’re hunting for multifaceted business window displays, our window perfs are excellent options. They display your desired high-resolution images with striking colors and unmatched clarity. Not only that, but they can also add privacy to your interior space by cutting down on overly bright light. We offer 50/50, 60/40, 65/35 and 70/30 vinyl-to-hole ratios to modulate the level of transparency. The films can be finished in gloss or matte. Window clings: Window clings are commonly applied with static cling or adhesive, depending on their desired usage length. Any cling can be single- or double-sided, and they can be placed on the exterior (first surface) or interior (second surface). They can be clean, kiss or contour cut. With these short-term graphics, you can promote your events, sales and promotions in a cost-effective way. If you’re worried about maintaining brand solidarity, we’ve got it covered! Our color-matching practices will keep all of your new window graphics synced up with your preexisting branding elements. With the custom window graphics that we offer, your business’ exposure will reach brand new heights. Contact us today to schedule your consultation and get started! You’re also more than welcome to visit us at our studio, which is located on Wingco Lane near the intersection of routes 61 and 222 in Reading. Your group is very professional, delivering an excellent product with fast turnaround. The staff is professional, caring and capable. They offer a huge variety of services and will tirelessly work with you to meet the particular needs of your project. Very satisfied! Very high quality products with timely delivery. The staff is so friendly and helpful! SpeedPro has excellent customer service, great prices, and a great end product as well!